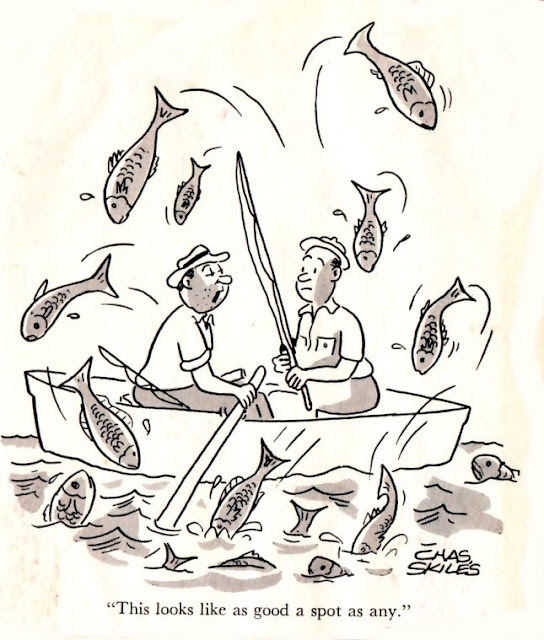 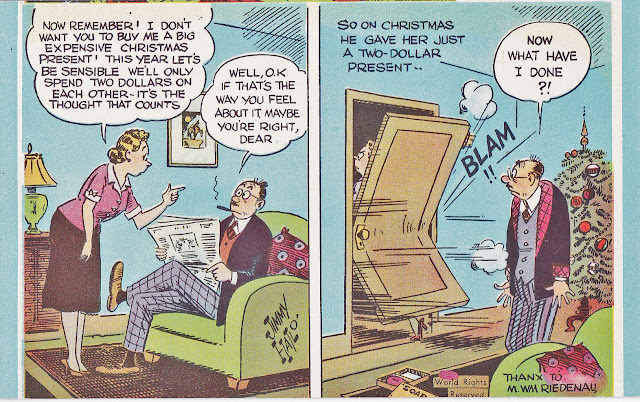 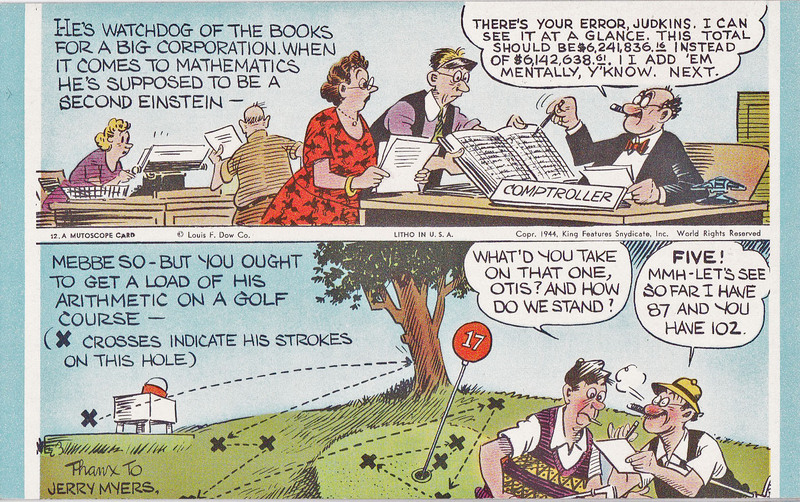 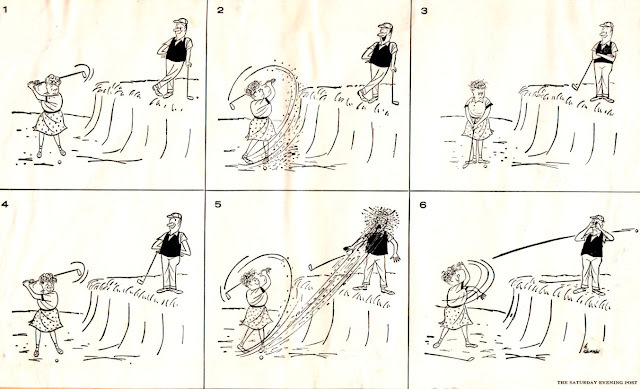 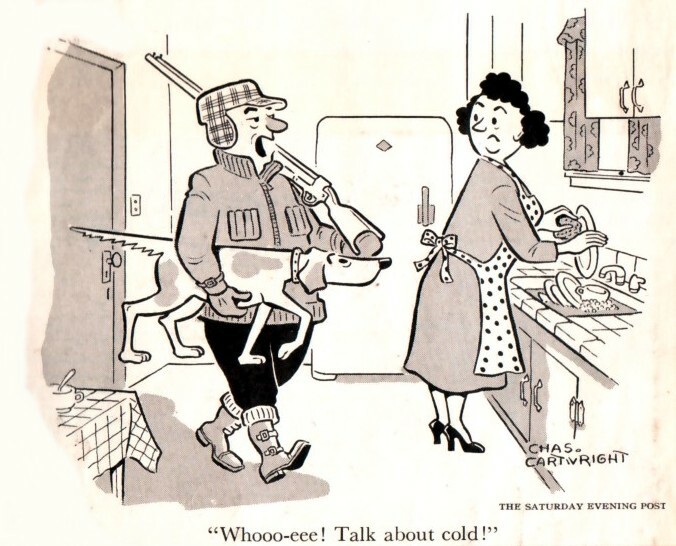 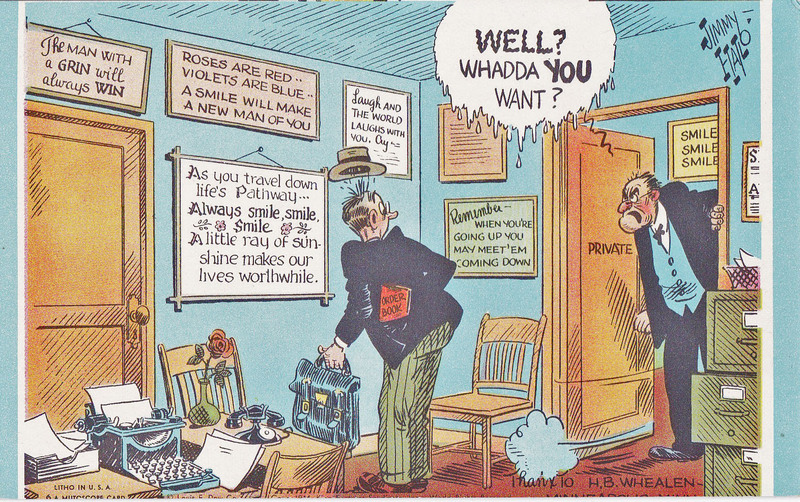 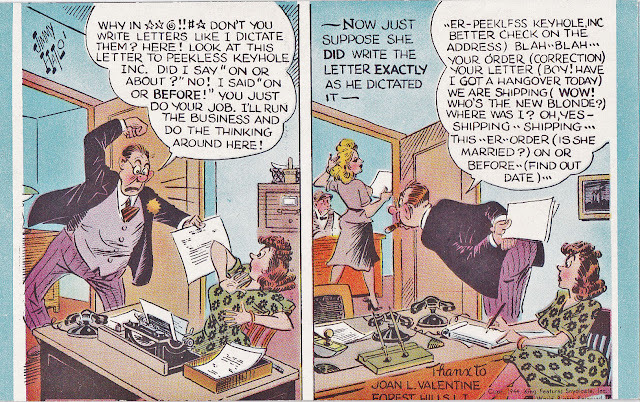 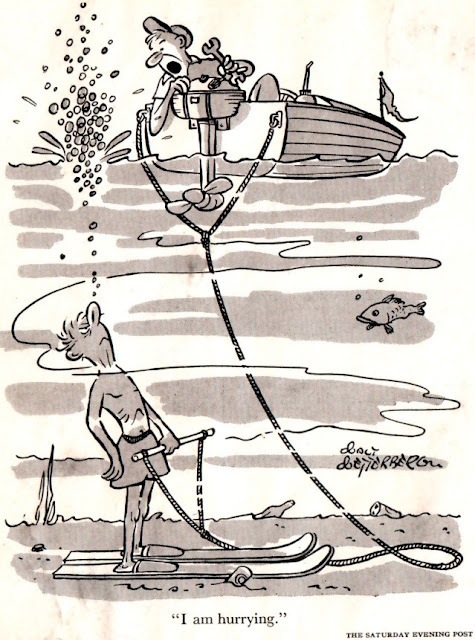 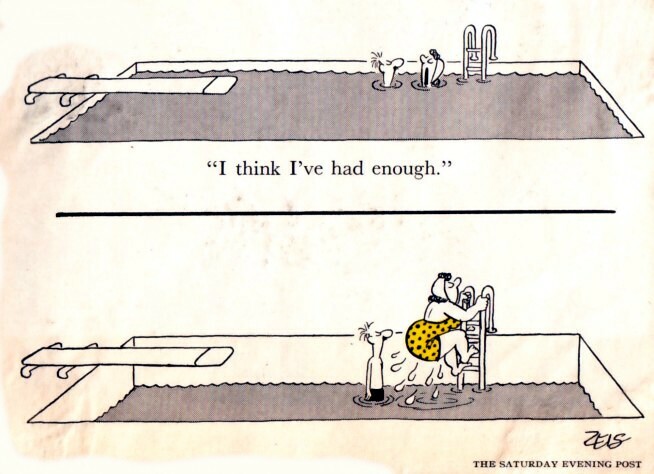 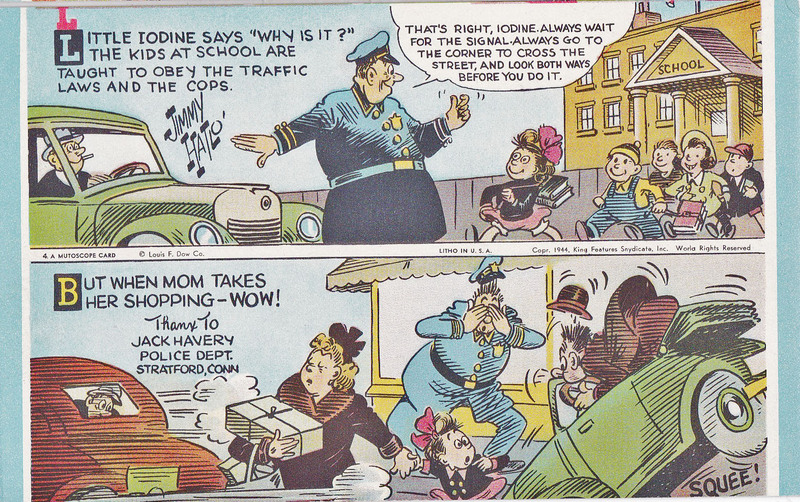 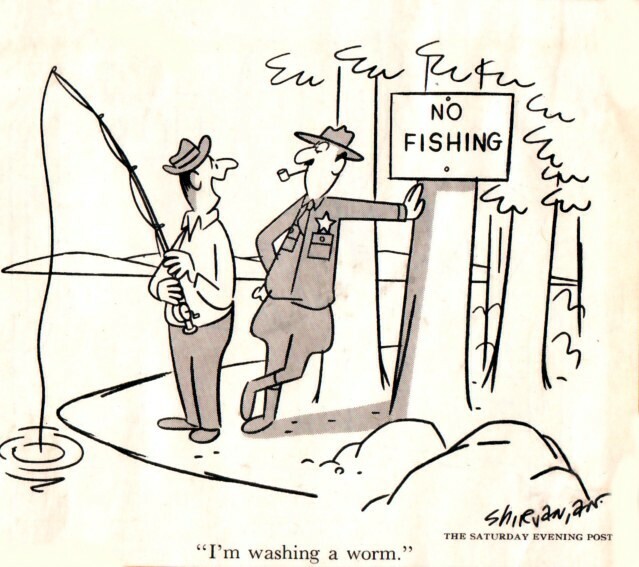 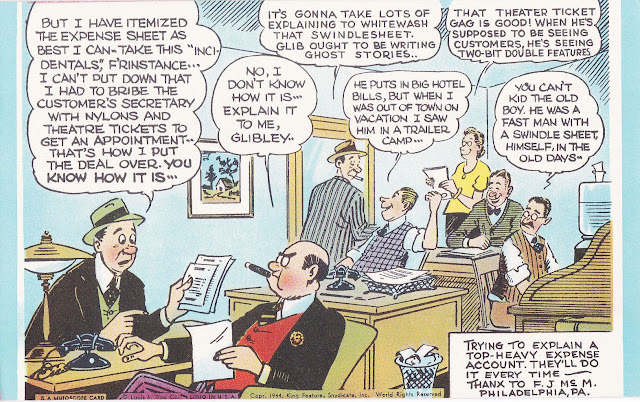 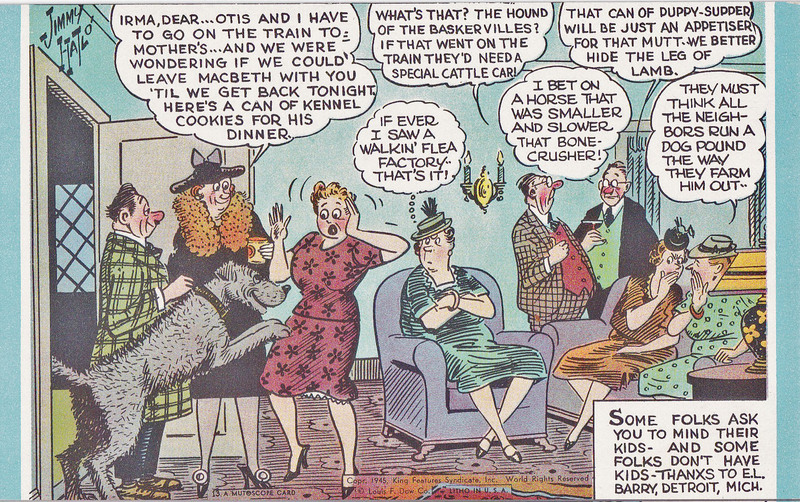 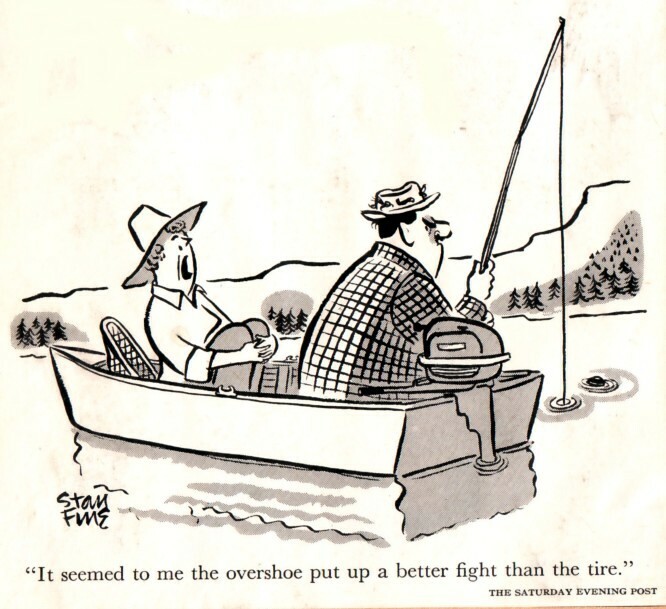 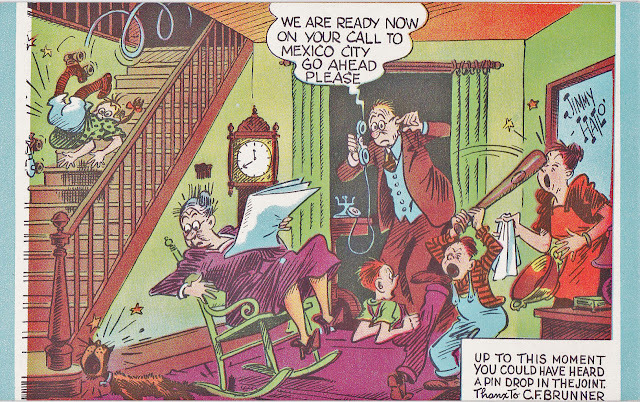 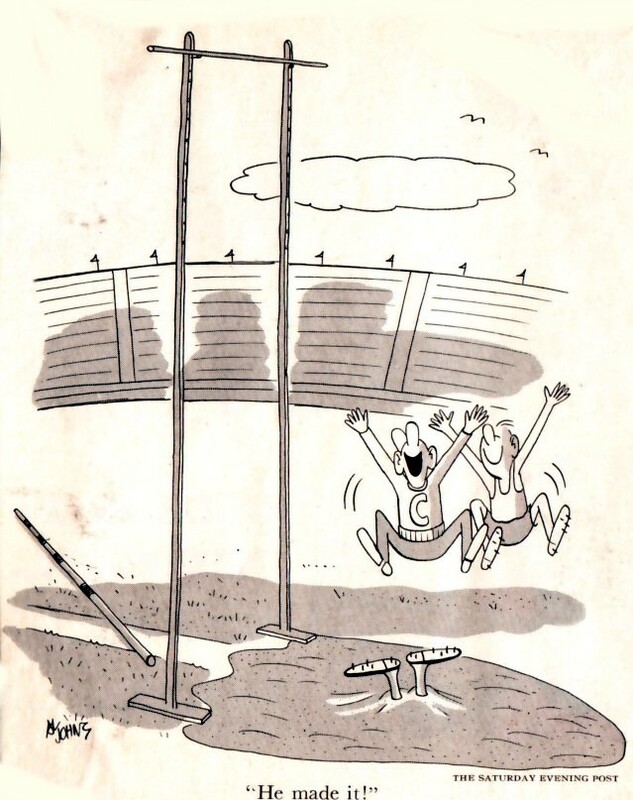 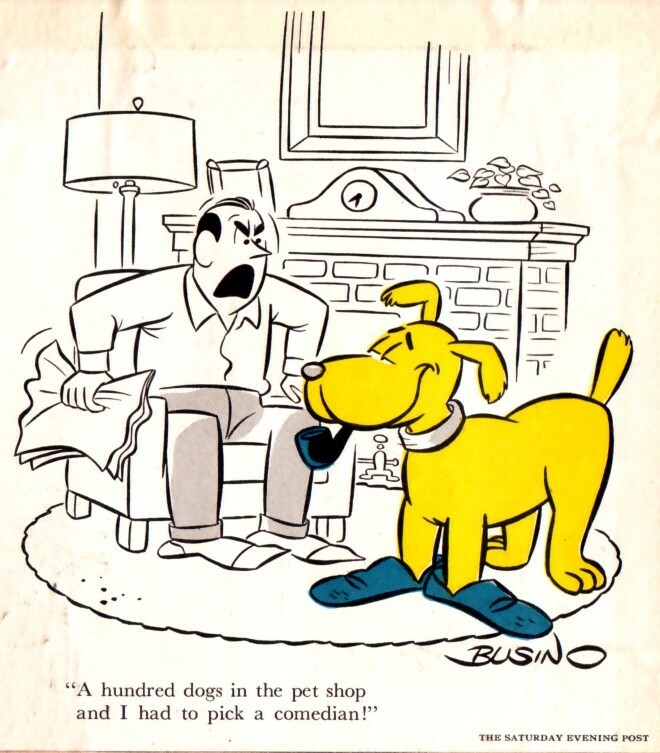 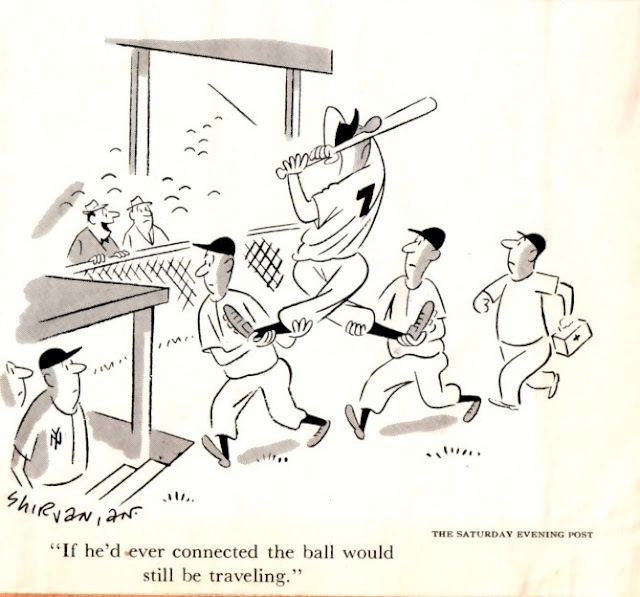 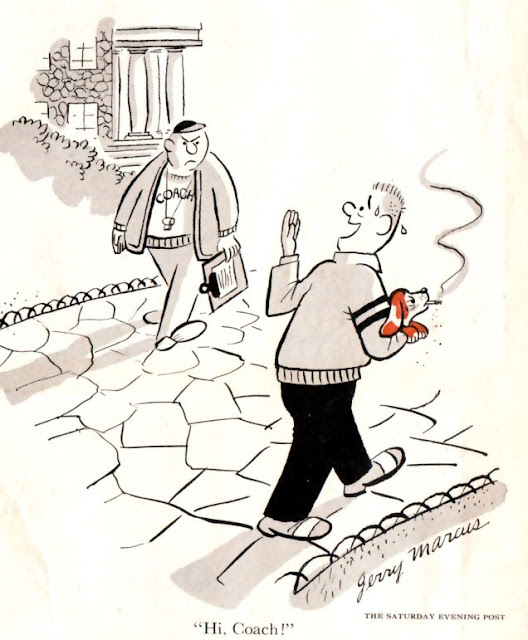 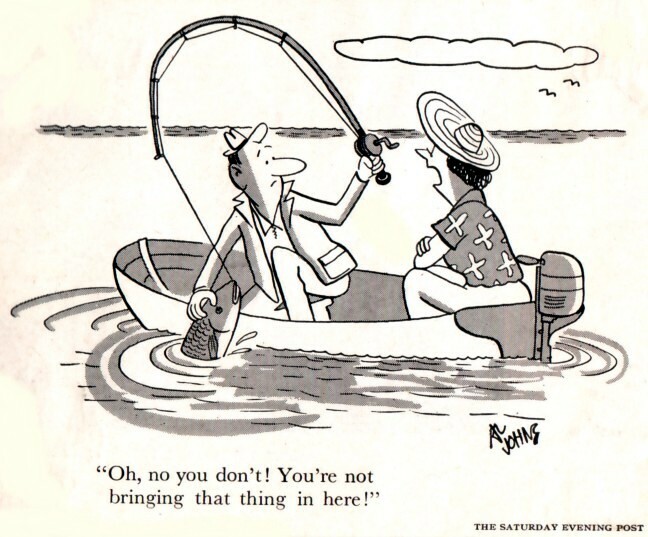 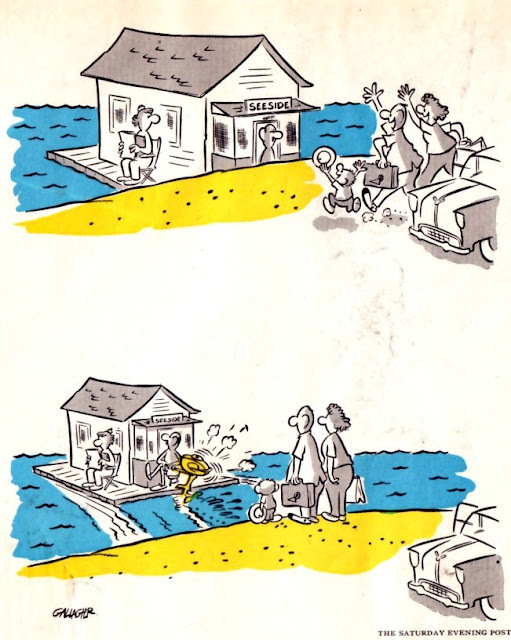 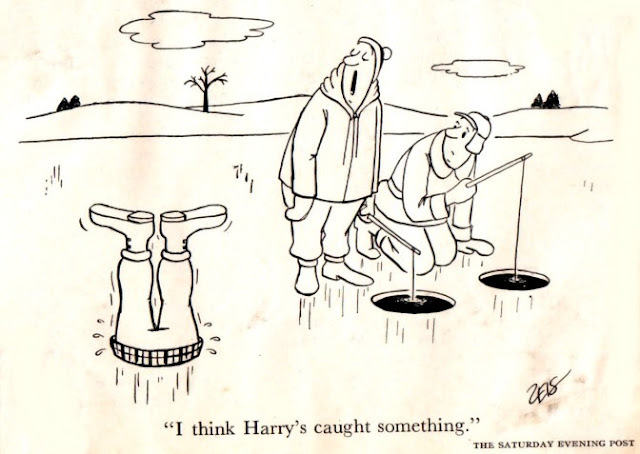 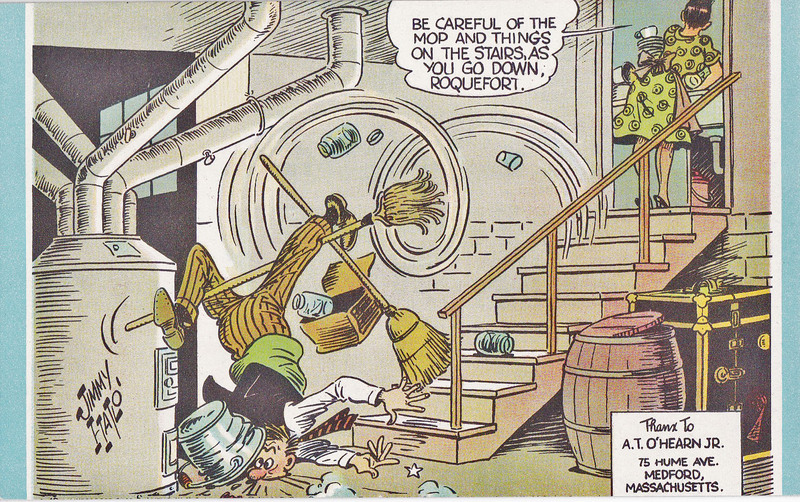 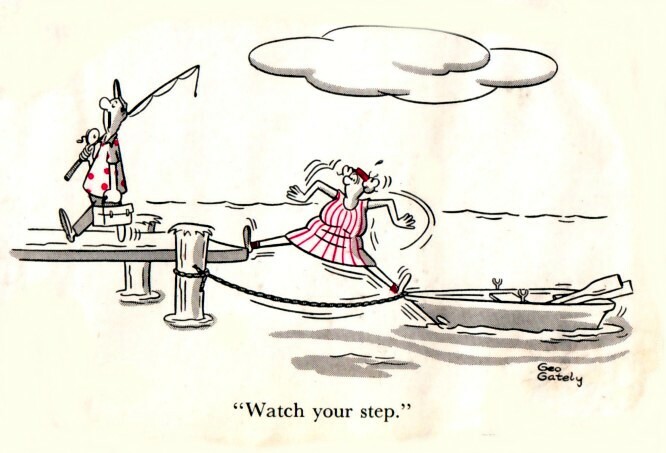 Looking for more great SATURDAY EVENING POST gag cartoons from the 1950s? Here they are! 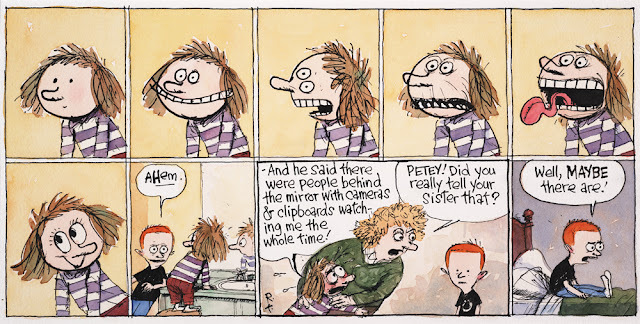 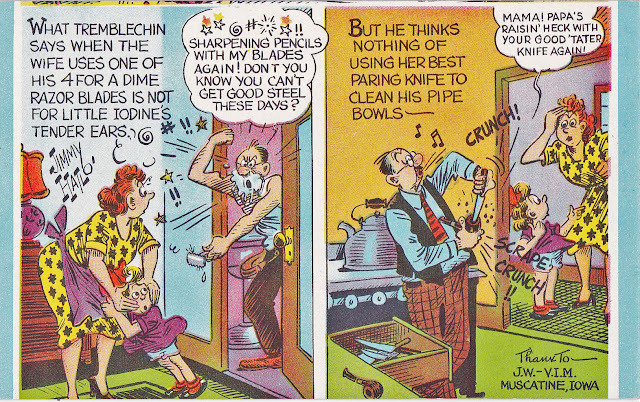 Above: a screen grab of Richard Thompson drawing Alice Otterloop, his lead character in his comic strip Cul De Sac. 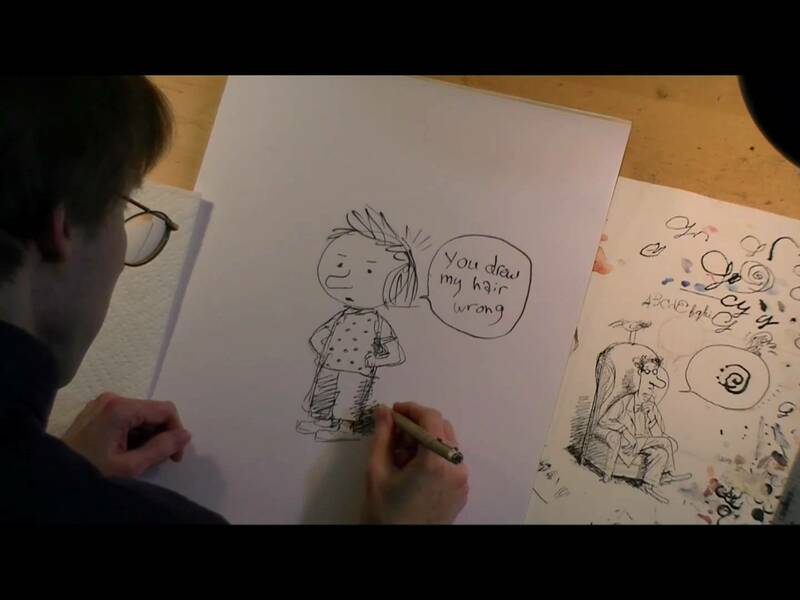 Full vid here. 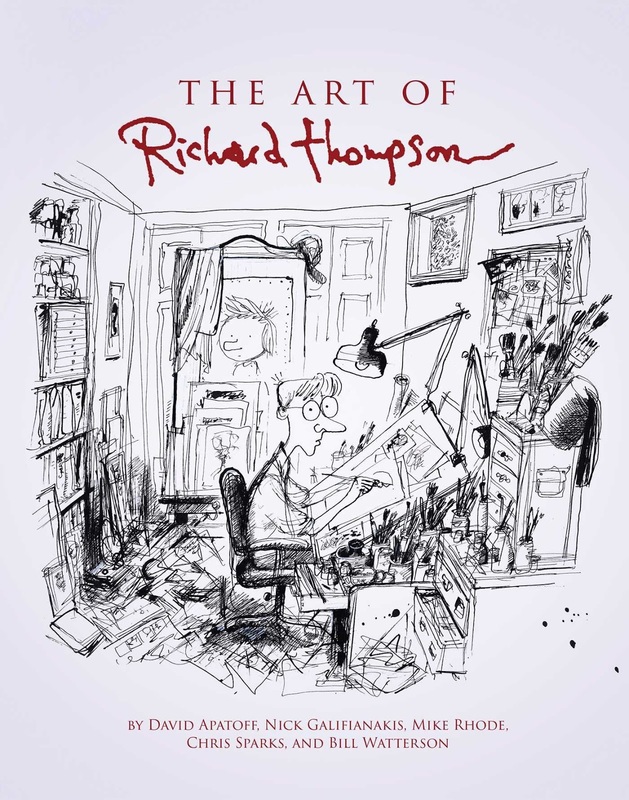 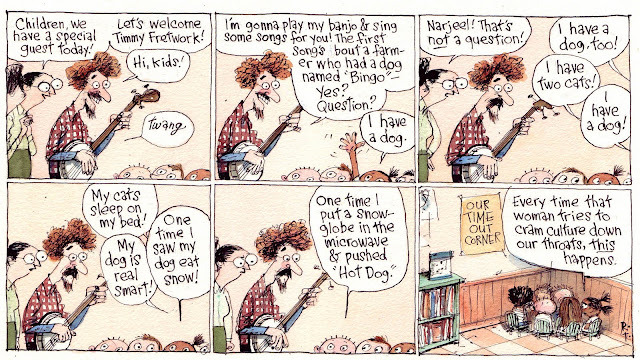 Remembering my friend Richard Thompson today. 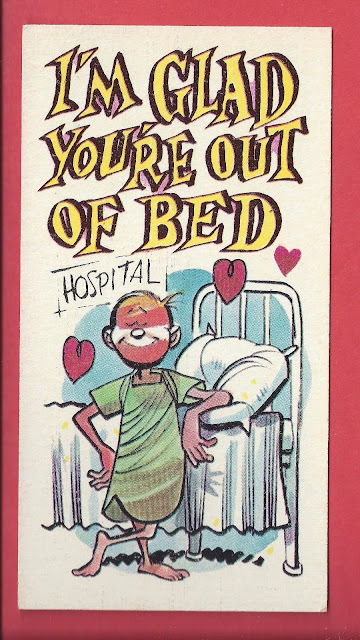 He died this day last year due to complications of Parkinson's Disease. 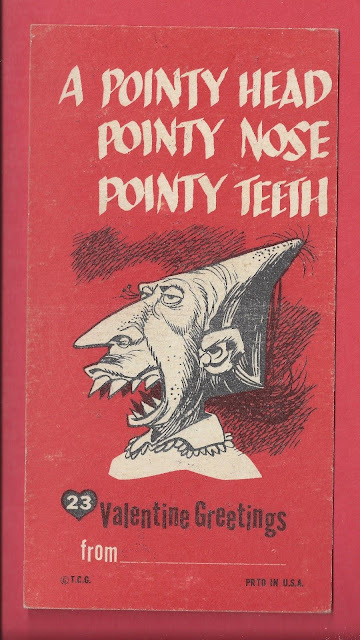 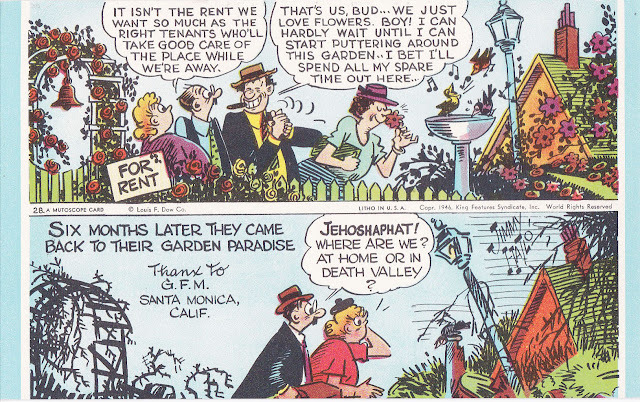 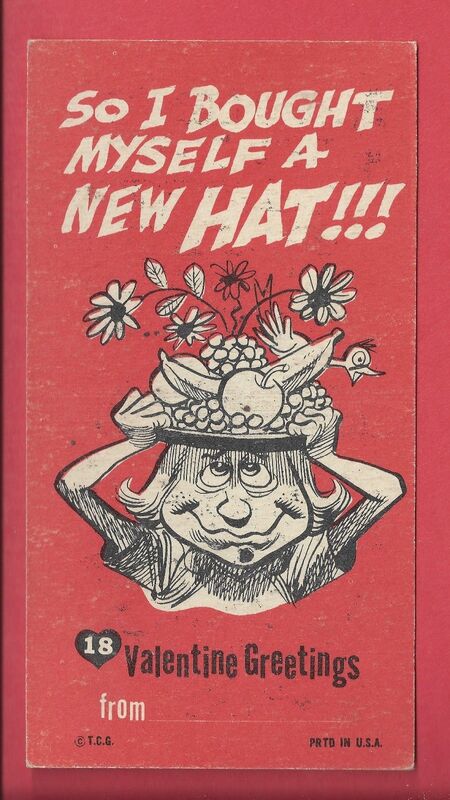 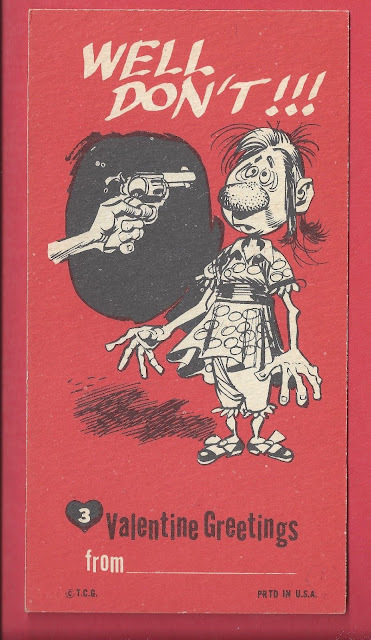 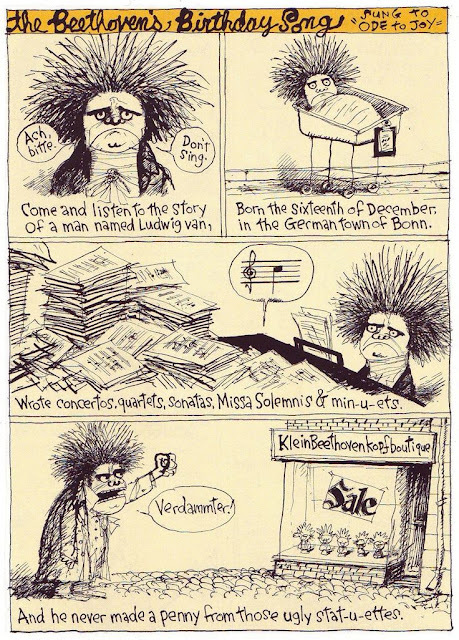 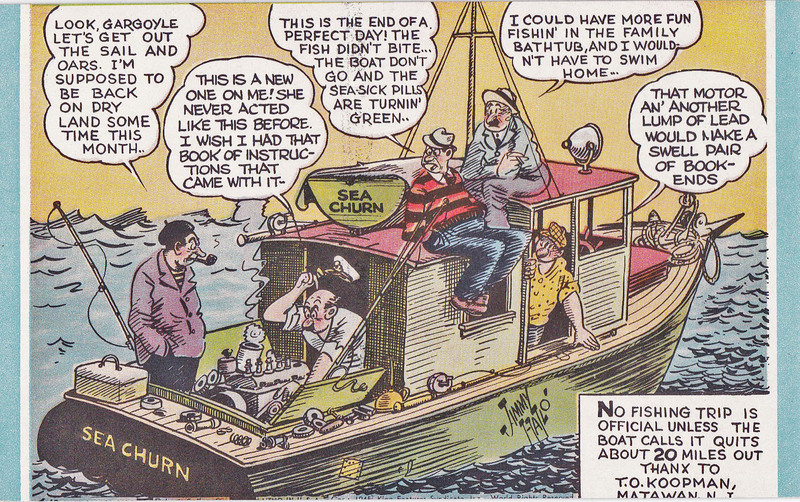 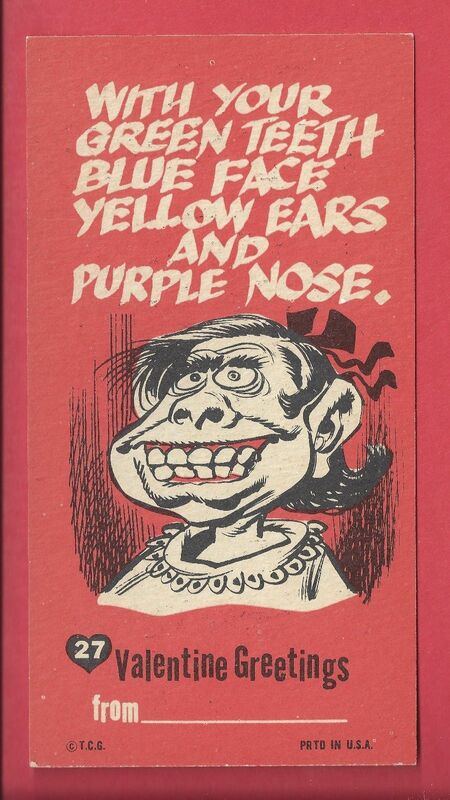 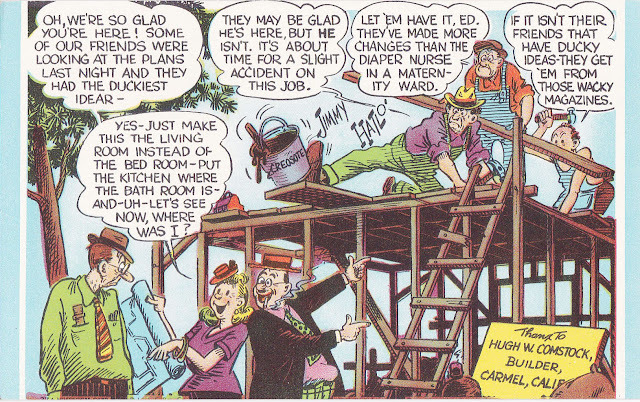 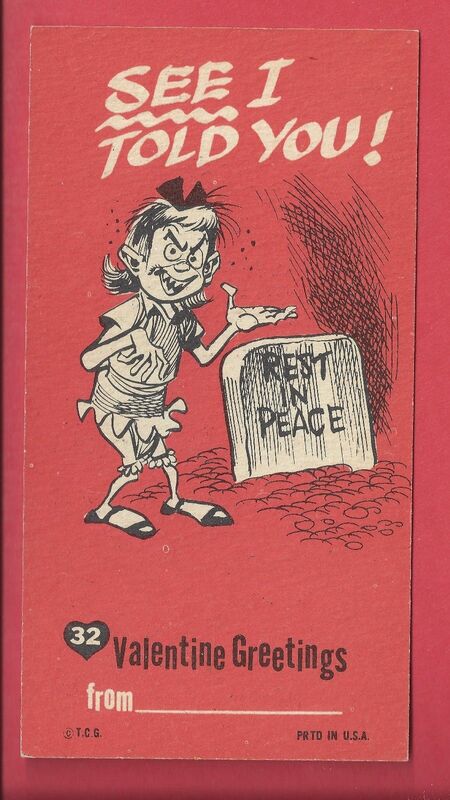 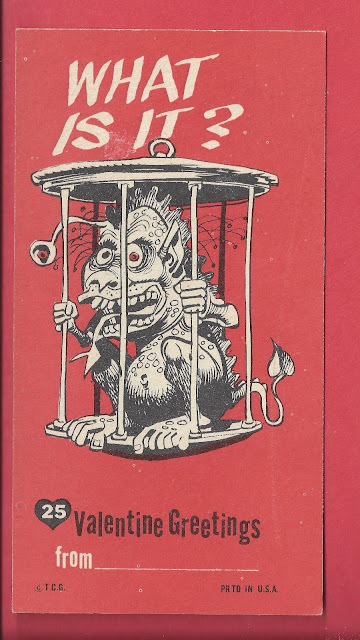 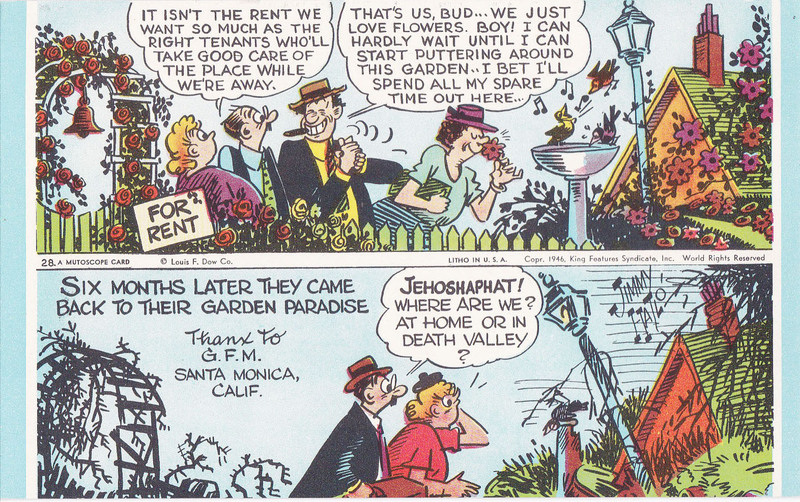 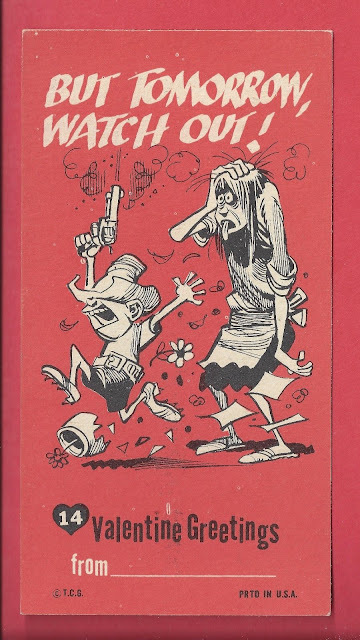 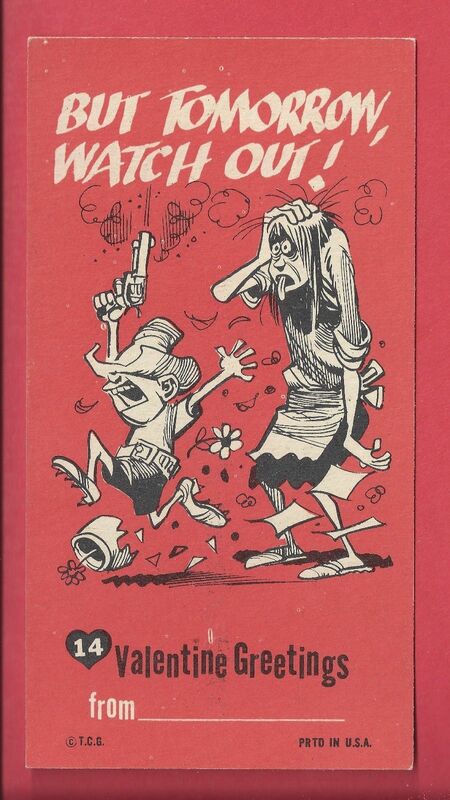 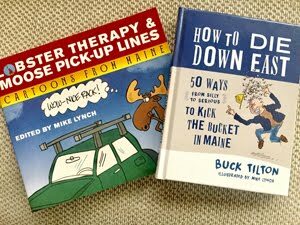 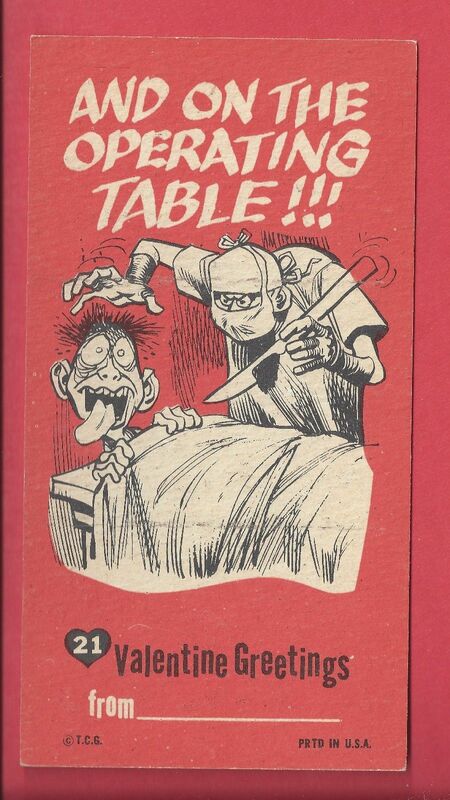 Best known for his Cul De Sac comic strip, Richard was a consummate illustrator and all around gentleman. He is deeply missed. You can contribute to Parkinson's Research via Team Cul De Sac. 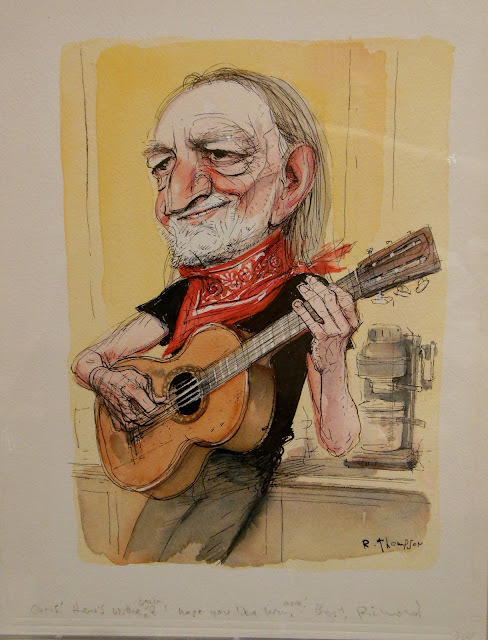 Here is some his art and a short documentary to remember him by. 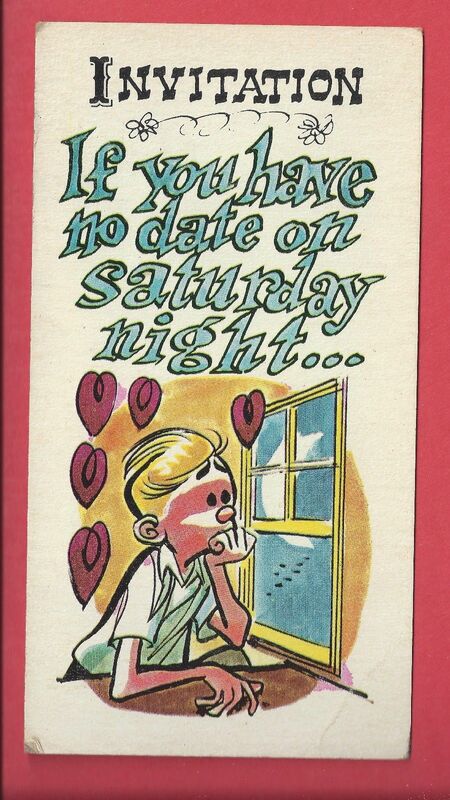 Valentine's Day in July? 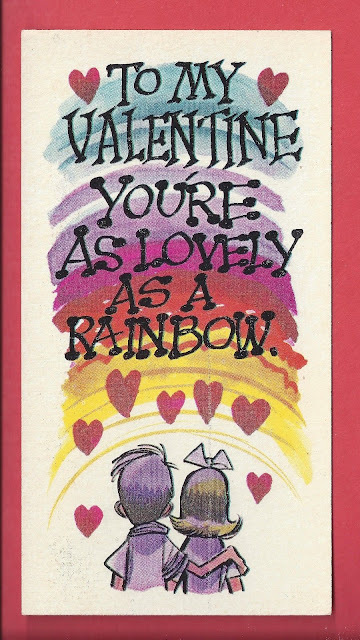 Well, if you live life right, then EVERY DAY is Valentine's Day, right? Ha ha ha. 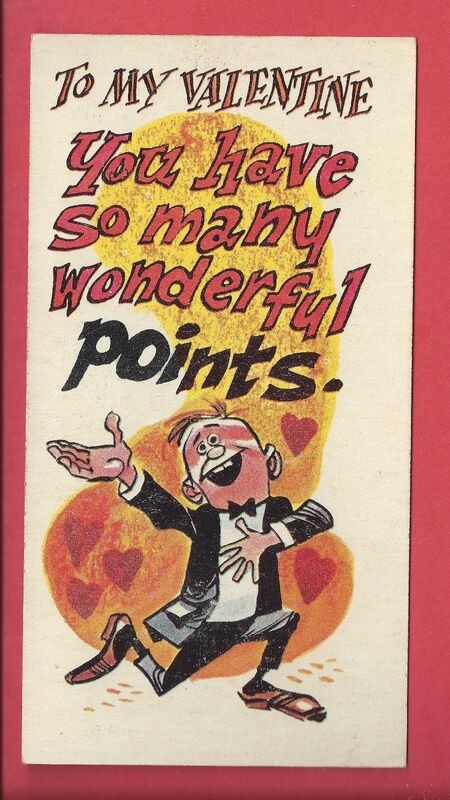 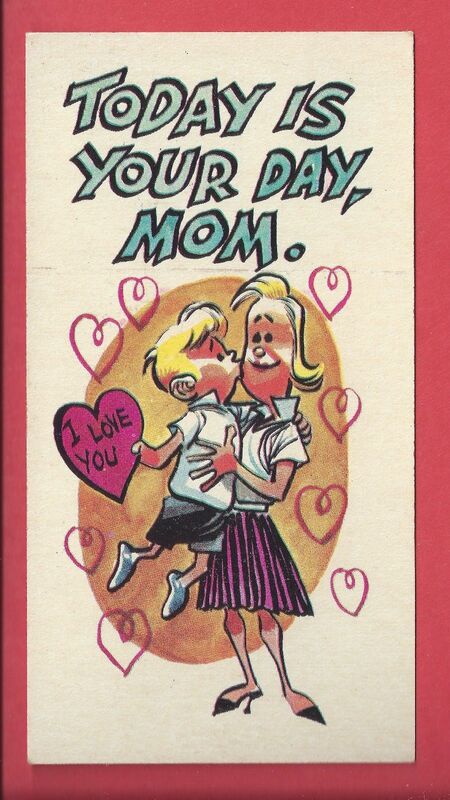 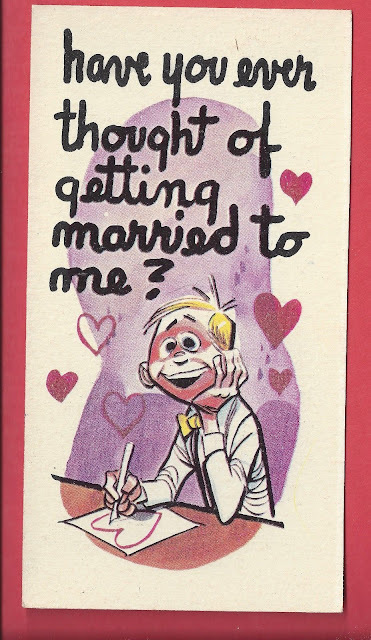 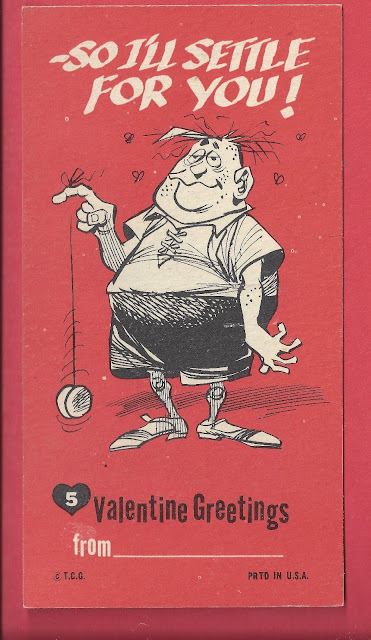 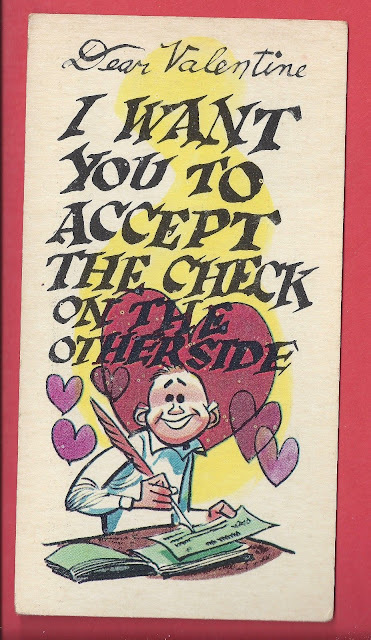 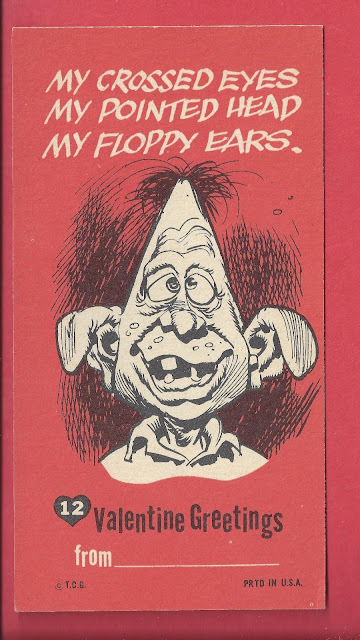 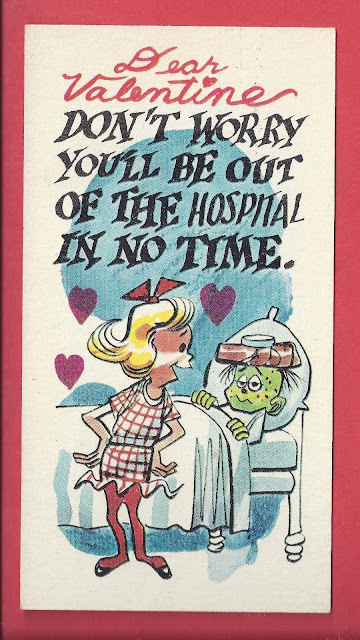 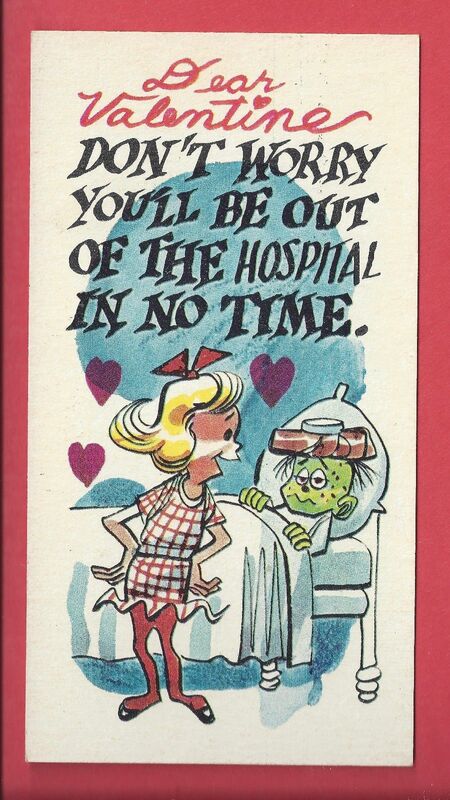 OK, regardless -- for your viewing pleasure, here are a dozen of the 55 Topps Giant (2 1/2"x 4 3/4") Funny Valentines produced in 1961, all with Jack Davis art. Above image from The Eclectic Edwardian. The Mutoscope was an early movie viewer, created in the late 19th century. 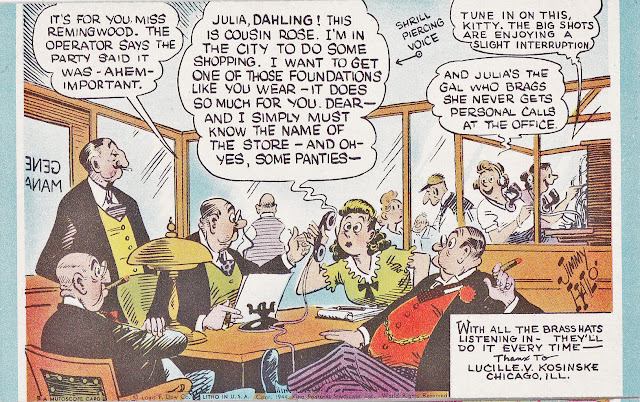 They were in pavillions, arcades, and even men's rooms. 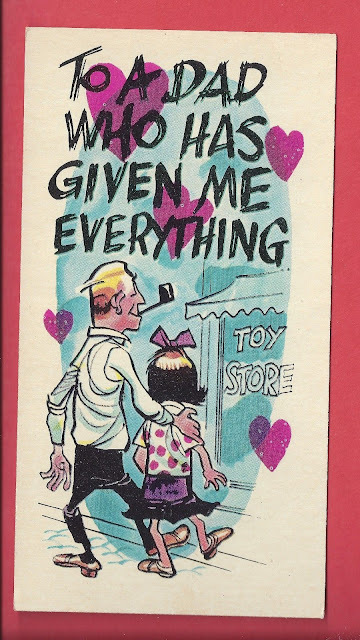 The machine had a crank on the side of it and, dropping your coin in, you could turn the handle and watch a short movie. Some of them were a bit risque.
" ... quickly flipping though a book of still images on stiff card stock. 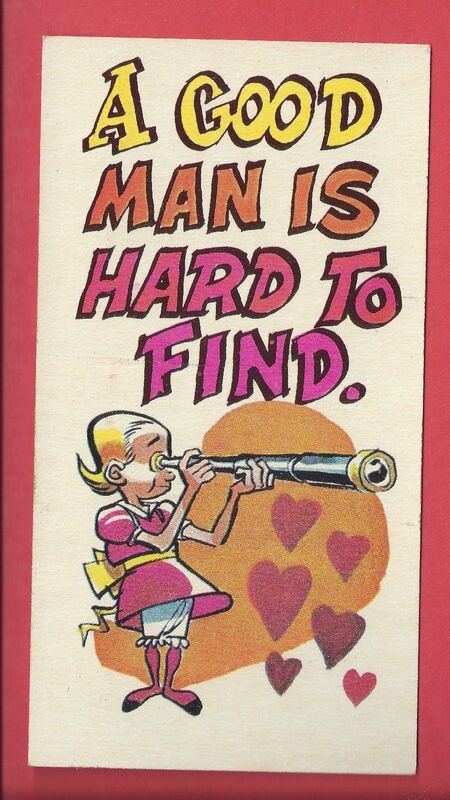 One person at a time could use the machine, which was marketed by the American Mutoscope Company starting in 1895. 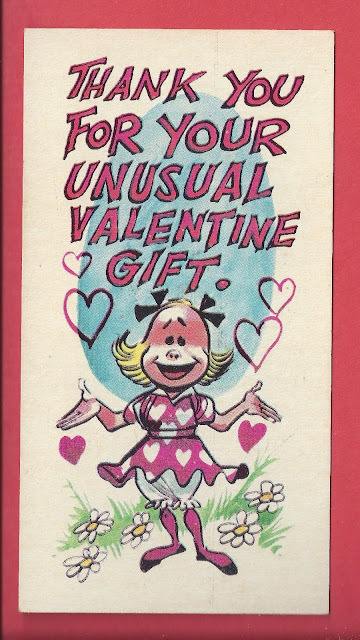 A subsequent firm, International Mutoscope Reel Company, made all manner of penny-arcade machines in the 1930s and '40s, including ones that dispensed 5.25-by-3.25-inch cheesecake cards of young women in various states of undress. 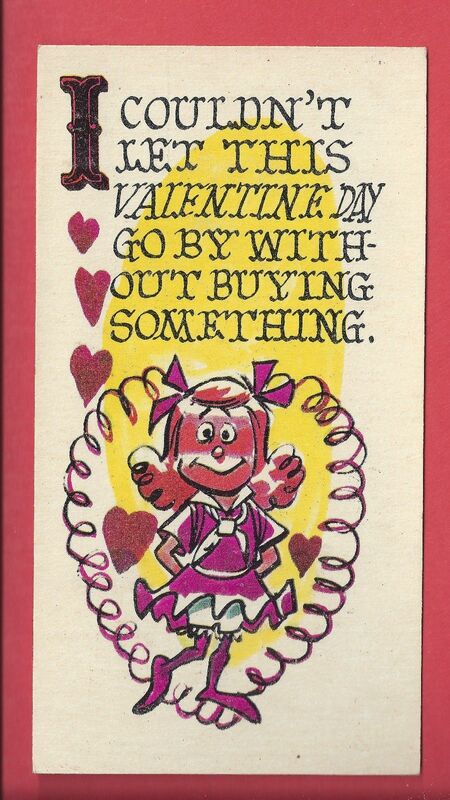 There are almost 300 different types of these cards—those in the Yankee Doodle Girls series are considered rare." The Mutoscope people also printed collectable cards, depicting, for the most part, young women. 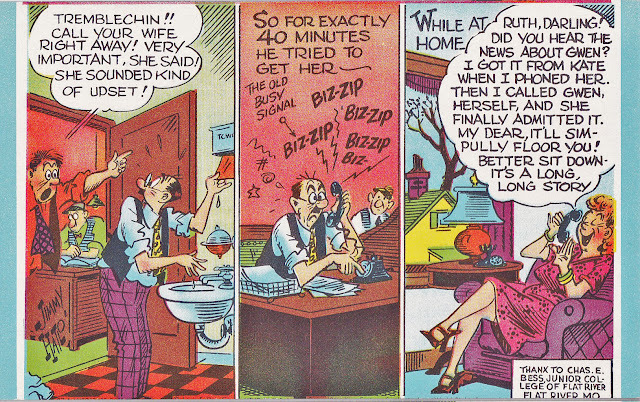 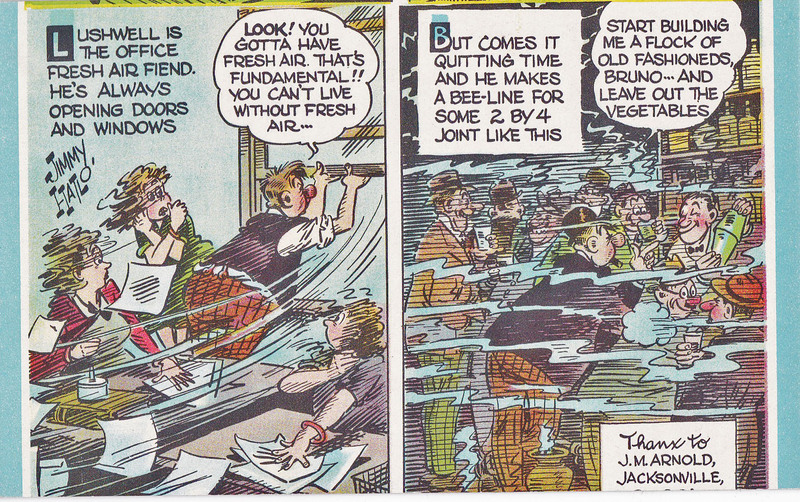 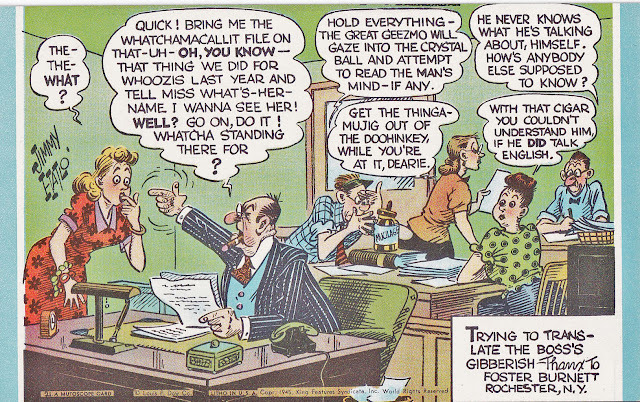 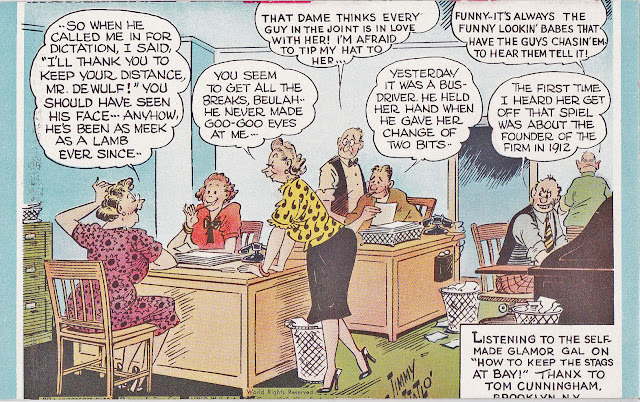 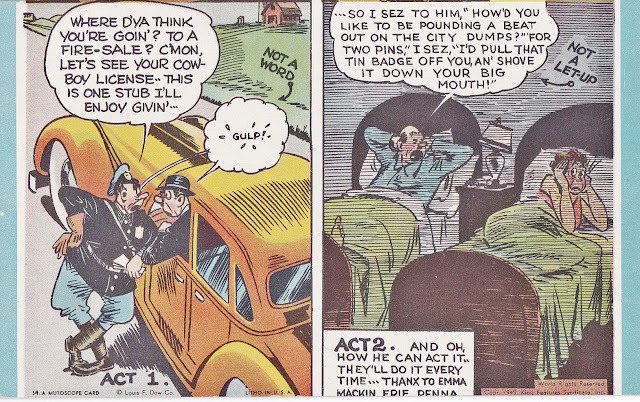 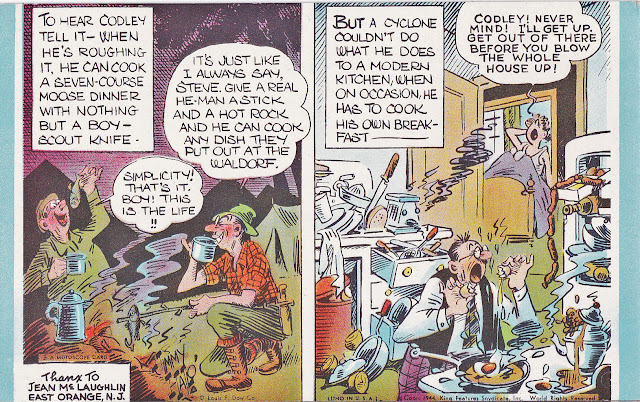 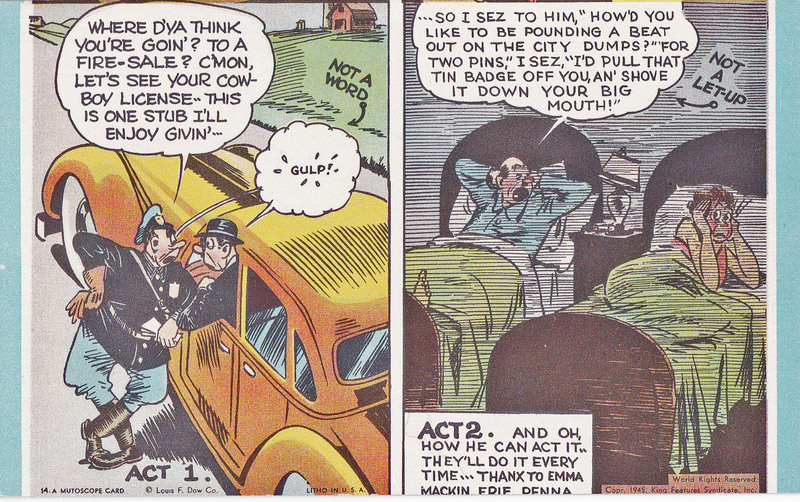 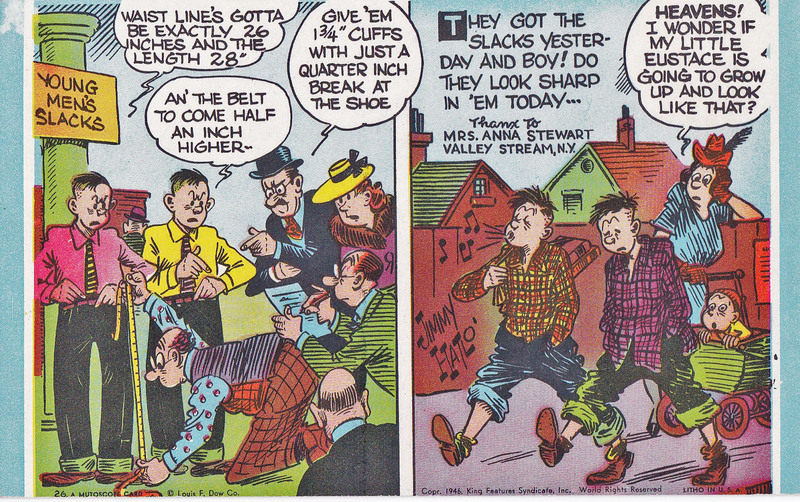 There were also some other topics, like; Jimmy Hatlo's "They'll Do It Every Time." Here are two dozen of the cards. 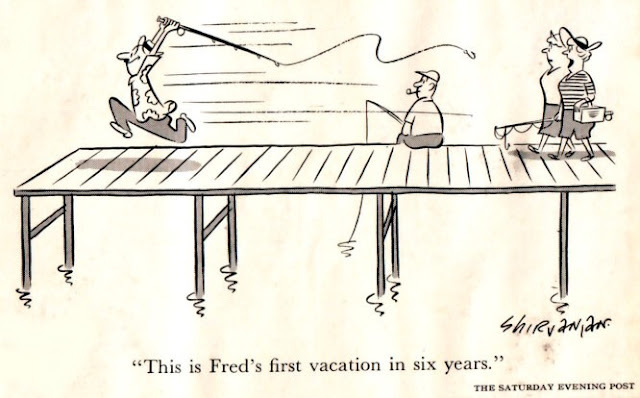 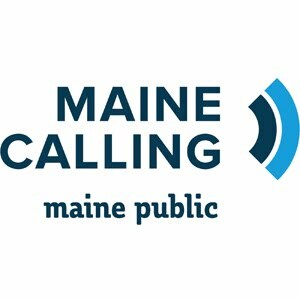 All copyright Louis F. Dow, Inc. and copyright King Features as well. 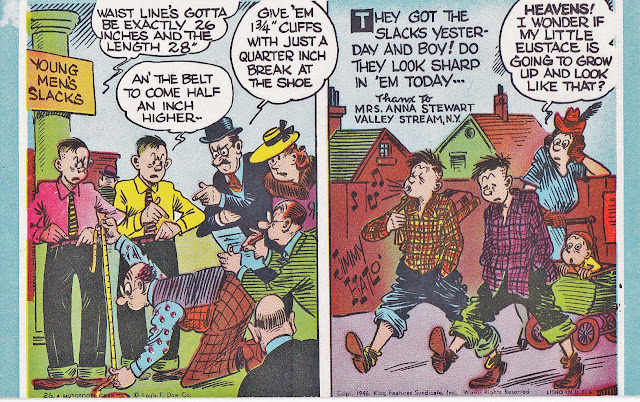 Most have a 1940s copyright date on them. 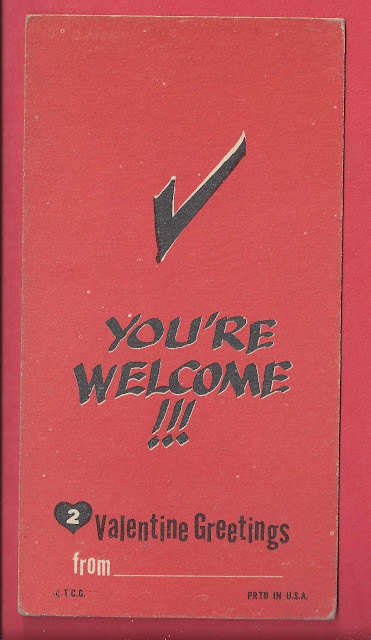 The backside is completely blank. 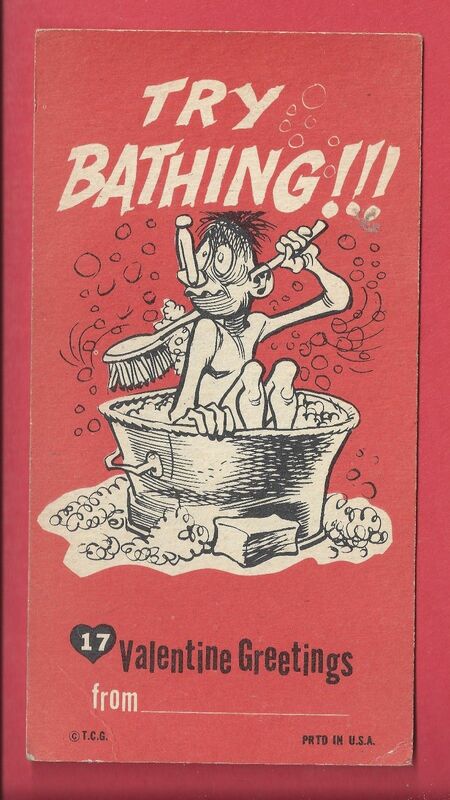 And the art appears to have been squeezed as best as possible onto this stock. Sometimes half of a line of print is knocked out, or a portion of the next card can be seen by the cut line. These were cheaply produced. 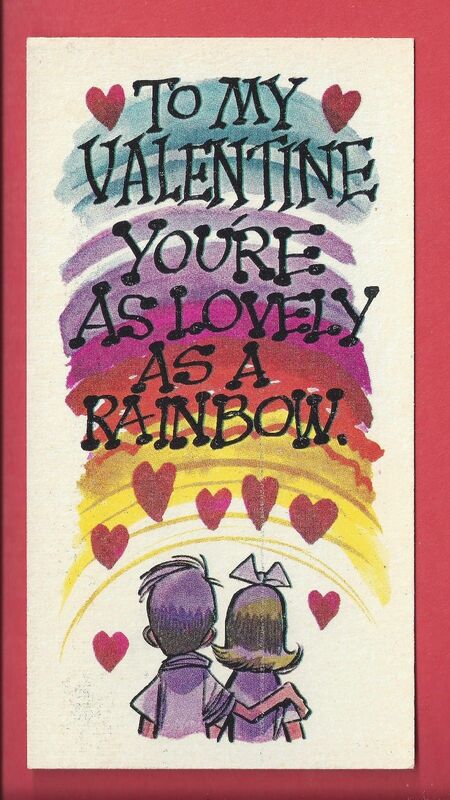 But the colors hold up well and they are still lots of fun to linger over. 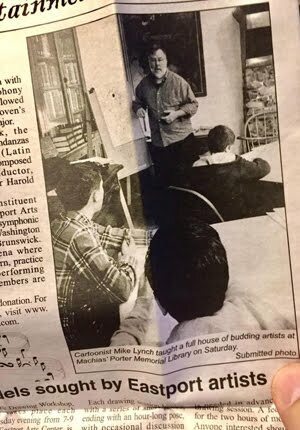 My guess is that Hatlo's longtime ghost Bob Dunn is the man behind the pen strokes here.